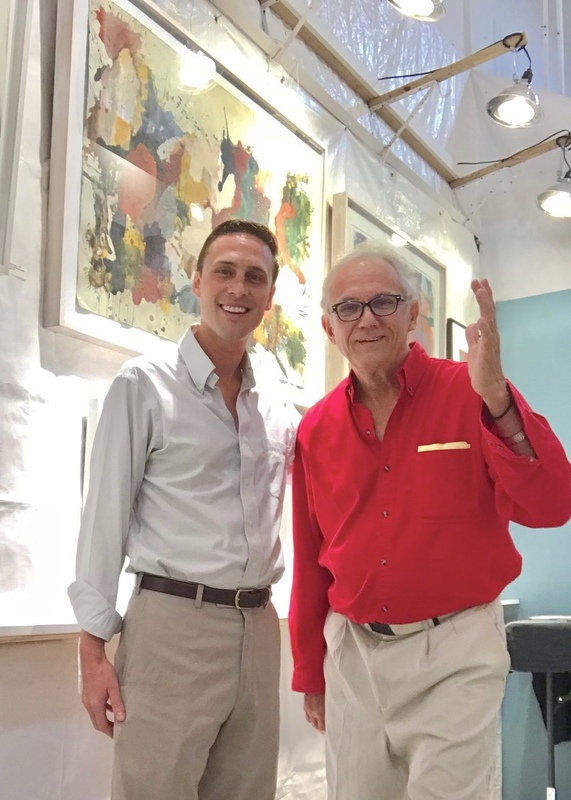 While in Florida, I had the pleasure of visiting with abstract expressionistic artist and World Advisory Client William Montgomery at his studio in Miami. Raised by art historians, William has been surrounded by art his entire life. In fact, there are paintings of his on the wall of his studio that date back to his childhood. He’s very talented and deserves to be recognized for his work. But promoting and selling can be very challenging, especially when you’re as modest as William. He’d rather be focused on his art. It’s common for entrepreneurs to be more passionate about their craft and less interested in business operations, which can stifle creativity and innovation. We’ve helped William improve his website, search engine results, web presence, receive grants, organize and host events in his studio and have been there for him. However, he’s still been involved in promotional efforts. This is because success in business largely comes down to building relationships. People who do business with you are often not buying your products or services. They are buying you. It’s been rewarding to see William be more outward as he’s remained dedicated, open-minded and patient. He says, “Perseverance” is his middle name. That’s perfect because entrepreneurship requires a ton of it.